You Made B105 #1 For New Country, Time To Celebrate at Spirit Mt. You Made B105 #1 For New Country, Time To Celebrate at Spirit Mountain! 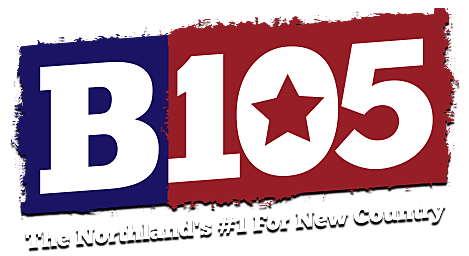 The new radio ratings have arrived and you've once again made B105 the #1 country station in the Northland! We want to thank you by throwing a B105 Glow Tubing Party at Spirit Mountain. We're closing down Spirit Mountain's Glow Tubing hill to the public so that we can have a fun evening with B105 listeners. While we wish everyone could be there, space is limited so you'll just need to listen to win family 4-packs to this special event. Listen every weekday from Friday, February 1 through Thursday, February 14, for the B105 Glow Tubing Party Cue-To-Call. You'll have chances to win with Ken & Lauren during The Breakfast Club as well as with Chris Allen and David Drew throughout the day. On Friday, February 15, we'll spend a couple hours Glow Tubing at Spirit Mountain! This is when they turn their tubing hill into a colorful fun time and you don't need to walk back up the hill, they'll bring you back up every time with their tubing lift. We'll provide everyone with a complimentary beverage, from hot chocolate to beer, and everyone can join us afterwards at the Spirit Mountain Moosehead Saloon from 8:00 p.m. - 10:00 p.m. to also enjoy 1/2 price apps. Make sure to listen to win and thank you for once again making B105 the #1 country station in the Northland!